The eating of insects, or entomophagy, is not a new concept. 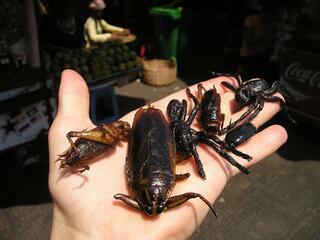 In fact, insects have been eaten around the world since prehistoric times. Stable carbon isotope analysis of the bones and dental enamel of australopithecines, for example, has shown that they were significantly enriched in isotope 13C, suggesting that the diet of these people was largely composed of animals feeding on grasses, including insects. Termites are reported to have been included into the Plio-Pleistocene hominin diet, and an analysis of fossils from caves in the USA and Mexico showed that coprolites from caves in Mexico contained ants, beetle larvae, lice, ticks and mites, providing further evidence for entomophagy in human history. Today, it has been estimated that insects form part of the traditional diets of at least 2 billion people, and over 1900 species have purportedly been used as food. The most commonly consumed insects globally are reported to be beetles (Coleoptera) (31%), caterpillars (Lepidoptera) (18%) and bees, wasps and ants (Hymenoptera) (14%), followed by grasshoppers, locusts and crickets (Orthoptera) (13%), cicadas, leafhoppers, planthoppers, scale insects and true bugs (Hemiptera) (10%), termites (Isoptera) (3%), dragonflies (Odonata) (3%), flies (Diptera) (2%) and other orders (5%). 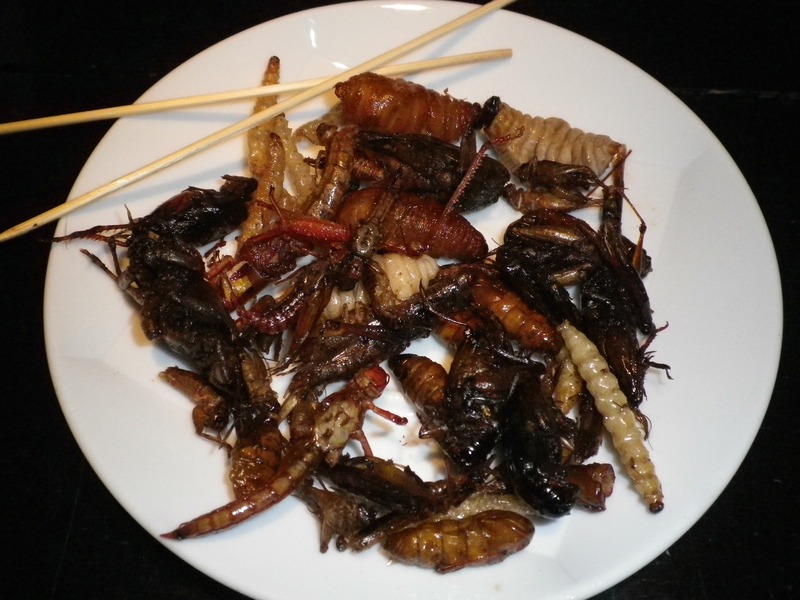 Despite the massive diversity of edible insect species, however, their consumption as a food source is largely restricted to countries in Africa, Asia and Latin America, while in Western countries the idea of eating insects is often met with disgust. Regardless of this widespread attitude towards insect consumption in the West, there has been an explosion in research on insect foods in the past few years as the potential of insects as a food source for the future has been increasingly recognised. But what is it about insects that is driving this interest? - They have a higher feed-conversion efficiency (a measure of an animal's efficiency in converting feed mass into body mass) than that of conventional livestock. Crickets, for example, are reported to require only 2 kilograms of feed for every 1 kilogram of bodyweight gain, and need 12 times less feed than cattle, 4 times less feed than sheep, and half as much feed as pigs and broiler chickens to produce the same amount of protein. - They have a much higher fecundity level than conventional livestock, often producing more than one generation in a single season. - They are mostly omnivorous, and could therefore be reared on various organic waste streams. - They are reported to emit fewer greenhouse gases and less ammonia than cattle or pigs, and have low requirements for space and water during the rearing process. - The collection of edible insects considered to be pests can contribute to reduced use of insecticides. - overharvesting, pollution, wildfire and habitat degradation have all contributed to a decline in many edible insect populations, and climate change may affect the availability and distribution of edible insects in ways that are not yet known. Edible insects are also considered a good nutritional food source, with a desirable fat and protein content and an array of vitamins and minerals. The nutritional composition of edible insects varies widely, however, between species, and even within the same species, depending on a number of factors. - The metamorphic stage of the insect has an impact on its nutritional content. The fat content in the larva and pupa stages, for instance, is reported to be higher, while at the adult stage it is relatively lower. - The habitat in which an insect lives and its food source can also have an impact on its nutritional composition. The composition of fatty acids, for example, is largely influenced by the host plant on which the insect feeds. For insects that feed on a single food plant, the values are likely to be typical for all members of the species, whereas the fatty acid content of generalist feeders may vary widely depending on the diet being fed. - Female insects have also been reported to contain more fat than male insects. While the precise content of nutrients is recognised to differ widely among edible insects, it has been reported that in egg, larva, pupa and adult stages, the raw protein content is generally 15-81% dry basis, with the protein content of some insects being higher than that of chicken eggs, meat and fowl. The content of essential amino acids has been reported to be 10-30% of all amino acids, and protein digestibility of insect protein is reported to be 77-98%, especially after removing the exoskeleton, which is only slightly lower than values reported in other animal protein sources (egg 95%, beef 98% and casein 99%). Edible insects are also reported to contain on average 10-60% fat in dry matter, with several forms of fat being present. Triacylglycerols are reported to constitute around 80% of the fat, while phospholipids are the second most important group. The fat of insects also contains a relatively high content of C18 fatty acids including oleic, linoleic and linolenic acids. The most abundant sterol in insects, meanwhile, is cholesterol, while campesterol, stigmasterol, β-sitosterol and other sterols may be also present. In terms of vitamins and minerals, it has been reported that insects are rich in trace elements such as copper, iron, magnesium, manganese, phosphorus, selenium and zinc, as well as vitamins such as riboflavin, pantothenic acid, biotin, and folic acid. Other vitamins and minerals reported to be present in insects include potassium, sodium, calcium, carotene, and vitamins B1, B6, D, E, K and C.
Eating insects isn’t without risk, however. Pesticide and heavy metal contamination, naturally present toxins such as cyanogenic glycosides and the possible transmission of infectious disease all pose risks. Allergies could also be a hazard for some. It has been suggested that chitin, the rigid substance covering the body of some insects, could pose a problem as it is difficult for humans to digest. Due to the lack of food containing chitin in the diet today, there is a deficiency of the enzyme chitinase which cleaves chitin. Some individuals are thought to have such a small amount of this enzyme that eating insects could cause an allergic reaction to them. The people most at risk are thought to be those who are allergic to seafood, such as shrimps. In addition to some legislative obstacles surrounding the introduction of insects as foods, consumer acceptance remains one of the biggest barriers to the adoption of insect consumption in the West. These negative attitudes towards edible insects seem to be deep rooted in society. Much research has therefore been carried out to investigate why people have such attitudes to eating insects and what could make them more open to introducing insects to their diets. In one study that investigated the readiness of consumers to adopt insects as a substitute for meat, it was found that food neophobia made the largest contribution to consumers' readiness to adopt insects, with a 1-unit increase in food neophobia score being associated with a 84% decrease in the predicted odds of being ready to adopt insects. 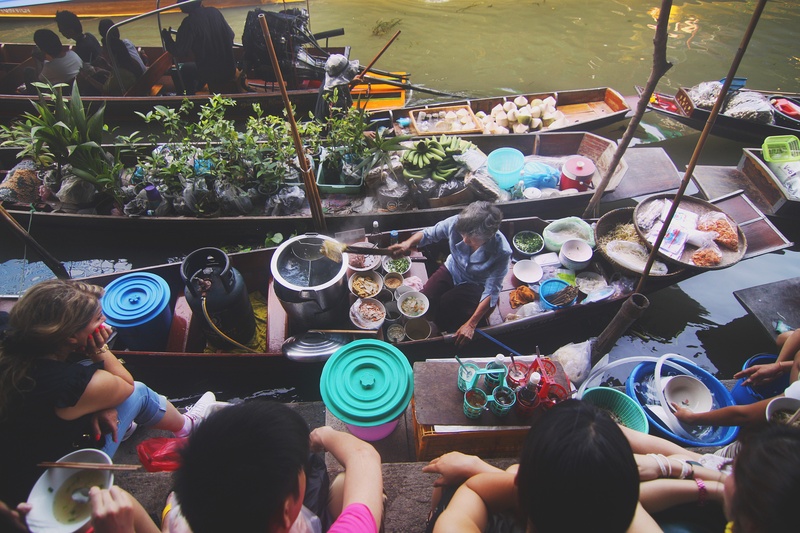 A stronger convenience orientation in food choice and a higher interest in the environmental impact of food choice, meanwhile, increased the likelihood of adopting insects by 75% and 71% per unit increase in these predictors' scores, respectively. In contrast, a 1-unit stronger belief that meat is nutritious and healthy, and a 1-unit higher importance attached to taste for meat lowered the predicted odds by 64% and 61%, respectively. The study concluded that the most likely early adopters of insects as a novel and more sustainable protein source in Western societies would be younger males with a weak attachment to meat, who are more open to trying novel foods and who are interested in the environmental impact of their food choice. Another study looked into the introduction of insect foods to the market in a processed form to determine whether the characteristics that are repellent to Western consumers no longer being readily visible would help them to overcome their initial resistance. After tasting one of two types of tortilla chip, one made with a traditional corn flour recipe and the other including cricket flour as an ingredient, the participants were questioned to assess their willingness to eat unprocessed insects. It was shown that people in the experimental condition reported a higher willingness to eat unprocessed insects than people in the control condition, and that exposure to processed insect products can increase consumers' willingness to consume unprocessed insects. Further studies have been carried out on consumers in various countries around Europe. A study performed to assess the perception of entomophagy in the Belgian population found that insects associated with known flavours and crispy textures were preferred, and that after a hedonic test, people seemed to be willing to eat and cook insects in the near future. In another study, Dutch consumers evaluated 8 mealworm product images on 4 acceptability measures (product appropriateness, expected sensory-liking, willingness to buy and willingness to try) to examine how product preparation, familiarity and individual traits (e.g. food neophobia) influence consumer acceptance of insects as food. The product images varied according to mealworm visibility (visible/invisible), carrier flavour (savoury/sweet) and carrier origin (Western/Asian). It was found that high product acceptability was not simply achieved by adding mealworms to familiar foods, but depended very much on the perceived appropriateness of mealworms as a food and the perceived appropriateness of the product combination.The study concluded that appropriate product design is important but insufficient to achieve consumer acceptance of insects as food in the West, and that additional incentives are required to encourage acceptance beyond just the willingness to try. One further study carried out in Italy looked at consumers’ attitudes towards insect consumption via a questionnaire. The results showed that 31% of respondents were willing to try insects as a food, while 5% had already tried them. It was shown that familiarity with foreign food, higher education and male gender positively influenced consumer attitude towards entomophagy, while a fear of insects and the idea that the taste might be disgusting were the main barriers to the willingness to try entomophagy, although these issues were mainly raised by consumers who had no direct experience with eating insects. Despite the less than positive attitudes of many consumers in Europe and other Western countries to the prospect of insects making an appearance on the menu, the determination of others to make them the food of the future continues seemingly relentlessly. But will consumers be able to put aside their disgust and introduce insects to their diets? Only time will tell. But who knows? Perhaps as we all become more familiar with the idea of eating insects, more and more of us will dare to take that crucial first bite. If you enjoy our blog posts, you may well benefit from using FSTA. Over 50 years, FSTA has developed into a powerful and credible resource for academic and professional food experts. It provides over 1.4 million expertly sourced articles, all related to the sciences of food and drink. Honey - The Bees Have Buzzed Off!